Ticket module updates have arrived! Today we released the ability for you to customize your Ticket table columns to display the information you’d like to know about your Tickets, as opposed to the default version. You may remember us releasing this functionality within the Asset table a few weeks ago. There are tons of options to choose from, and we included two brand new choices as well: associated Invoices and total Ticket Charges. Log into your Syncro account and make your way to the Tickets module. Click on the newly added “Customize” button in the top-left corner of the Ticket table. A modal will appear containing all Ticket information available in your Syncro account. Select the information you’d like to appear in your Ticket table, and use the hamburger icon on the right side of each entry to arrange the columns in the order of your choosing. Click “Save” and review your newly customized Ticket table! 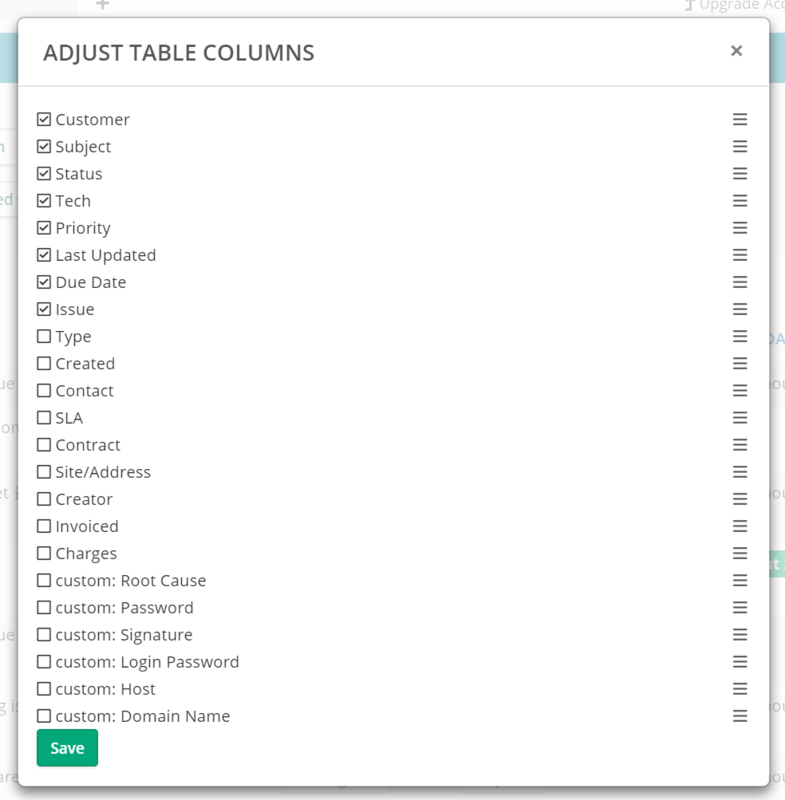 Please note that we have designed this update to include no limit to the number of columns you can add to the table. Depending on your screen size(s), you may need to adjust the number of columns used to address formatting issues. You can learn more about the Tickets module, including this update, in the Help Center article here. Enjoy!